My short film In Three Seasons will screen at the Sunrise Film Festival in Nova Scotia. I went off on a bit of a tear about the misnomer that is 'multimedia.' You can read the gory details at the MediaStorm blog. Last week I published an essay on the challenges of finishing a project. I think it turned out pretty well. You can read it on the MediaStorm blog. Seamus Murphy’s A Darkness Visible: Afghanistan was nominated for an Emmy in the New Approaches to News and Documentary Programming category. This is a special honor as Leandro Badalotti and I spent nearly a year producing the project. Congrats to Seamus, Brian and the rest of the MediaStorm team. MediaStorm was also nominated for a second Emmy for Crisis Guide: Iran, produced in collaboration with the Council on Foreign Relations. 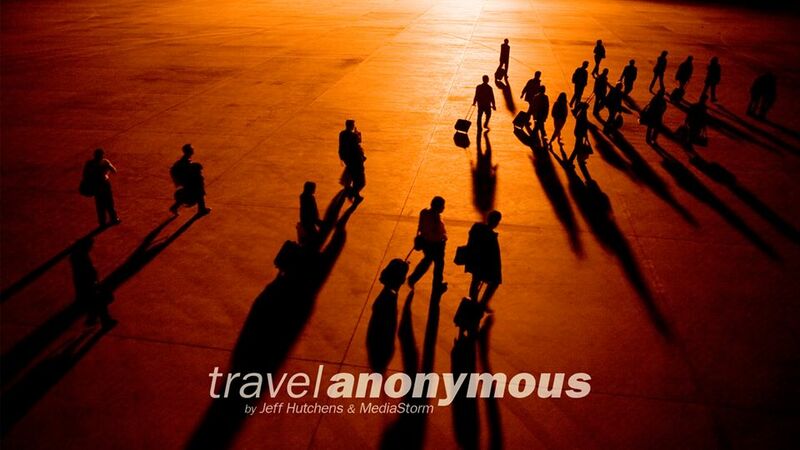 MediaStorm’s A Thousand More received an honorable mention in the 2012 competition for the Casey Medal for Meritorious Journalism about the lives of children, youth and families in the U.S. I'm pleased to announce my most recent project, Finding Balance: Our Future, Our Forests, produced in collaboration with the United Nations Forum on Forests for the Rio+20 United Nations Conference on Sustainable Development. I was lucky enough to work with some truly amazing visuals. A Thousand More, a project I produced for the MediaStorm Advanced Multimedia Workshop, is nominated for this year’s Webby Awards in the Documentary: Individual Episode category. The project is also nominated for a Webby People’s Voice Award. Voting is open from April 10th to April 26th. I’m pleased to announce the release of my latest project from the MediaStorm Advanced Multimedia Workshop. Rick Gershon and I were fortunate to work with the great team of Galen Clarke, Frederic Menou, and Marian Liu. The piece was of course made better by Andrew Hida and B. Storm. Watch Remember These Days here. 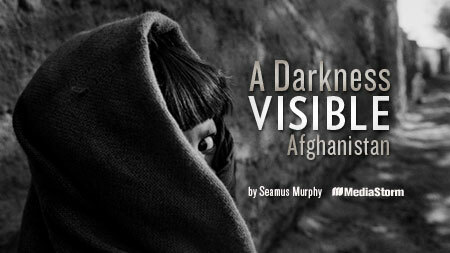 A Darkness Visible: Afghanistan, by Seamus Murphy, was selected by the Media for Liberty Award jury panel as the winning submission for the third annual Media for Liberty Award, a $50,000 journalism prize that recognizes media contributions that examine the link between economic and political liberty. Print, broadcast and online submissions were judged on criteria including thematic relevance, educational value and relevance to the public discourse. Watch A Darkness Visible: Afghanistan here. 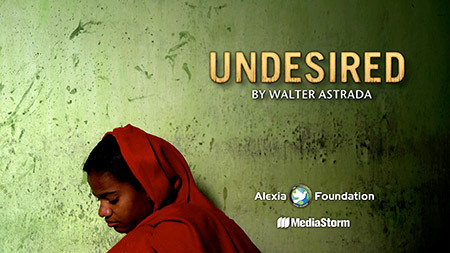 Undesired by Walter Astrada, a project I produced at MediaStorm for the Alexia Foundation was honored with a 2012 Alfred I. duPont-Columbia University Award and I couldn't be more proud. The duPont Awards, administered since 1968 by Columbia University’s Graduate School of Journalism, are considered to be the most prestigious broadcast journalism awards and the equivalent of the Pulitzer Prizes, which are also administered at the Journalism School. Selected by the duPont Jury for excellence in broadcast journalism, the award-winning news programs aired in the United States between July 1, 2010 and June 30, 2011. The honorees will be presented with silver duPont batons at a ceremony held at Columbia University in January 2012. Congratulations to my MediaStorm colleagues and all the winners. I’m excited to share my latest production from the MediaStorm Advanced Multimedia Workshop. Frank de Ruiter and Simon Schorno. Joe Soll never met his birth parents. Raised by upper-middle class New Yorkers, he spent half of his life tormented by the death of his mother. But then one day, that story suddenly began to unravel. What followed was a three decade search for the truth and a mystery that would haunt him for years. Through almost unbearable personal pain, Joe has devoted his life to a single question, where did I come from? The quest for that answer has redefined him, setting Joe on a mission to help others. 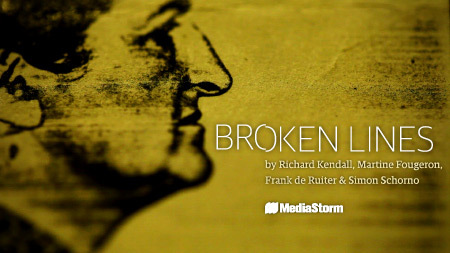 Broken Lines was co-produced with Jennifer Readfearn plus two awesome interns: Leandro Badalotti, who helped with post, and Tucker Walsh, who created some lucious visuals. The piece was made better by the insights and audio assists from teacher-extraordinaire Bruce Strong. 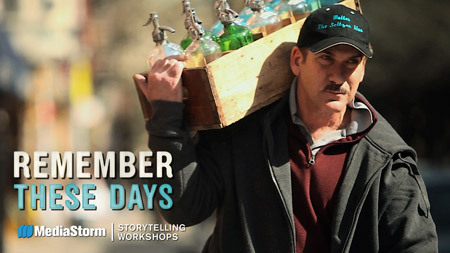 Also, make sure to check out the other, excellent workshop story Voice co-produced by Tim McLaughlin and Rick Gershon. Edit: I committed a huge oversight. I forgot to acknowledge Brian whose vision touches everything we do at MediaStorm. Verve Photo has posted a nice piece on A Darkness Visible, along with an interview with Seamus Murphy. It was the most complex project I've ever undertaken. But now it's done, and I am so very proud. This was, at every turn, a collaborative project and special acknowledgement begins with Seamus Murphy and his luminous photography. At MediaStorm, the continued support of Brian Storm and the design skill of Tim Klimowicz; as well as a great epilogue co-produced by Tucker Walsh and a tremendous sound mix by Bruce Strong, without which subtitles would have been a necessity. Fianlly, a special thank you goes to my partner in crime, Leandro Badalotti, who gave me guidance when I was lost and humor when I was in need. He made this project better in more ways than he knows. Please watch A Darkness Visible: Afghanistan here.